This NASA/ESA Hubble Space Telescope image seems to sink into the screen, plunging the viewer into the dark depths of the early Universe. 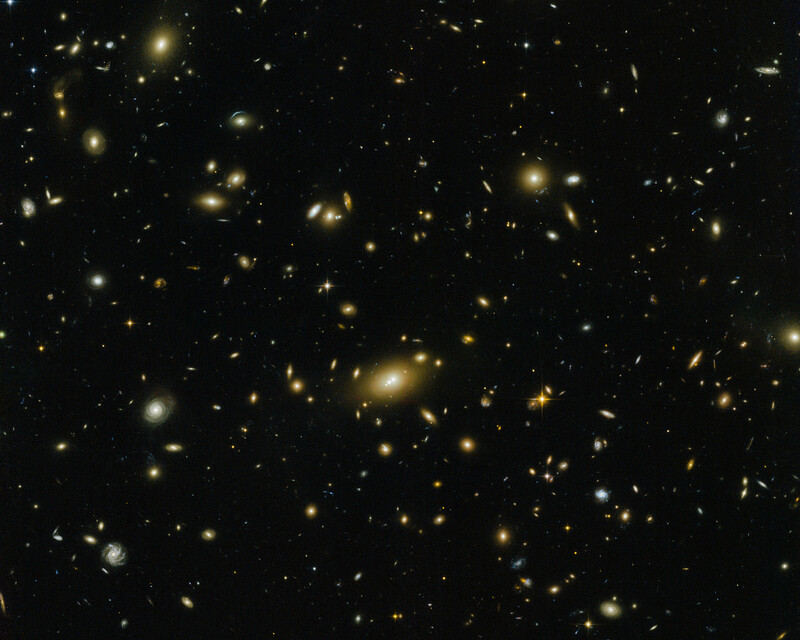 Massive galaxy clusters — such as the subject of this image, Abell 1300 — help us to better understand the cosmos. They are essentially giant natural telescopes, magnifying the light from any galaxies sitting behind them and helping us peer further back in time. 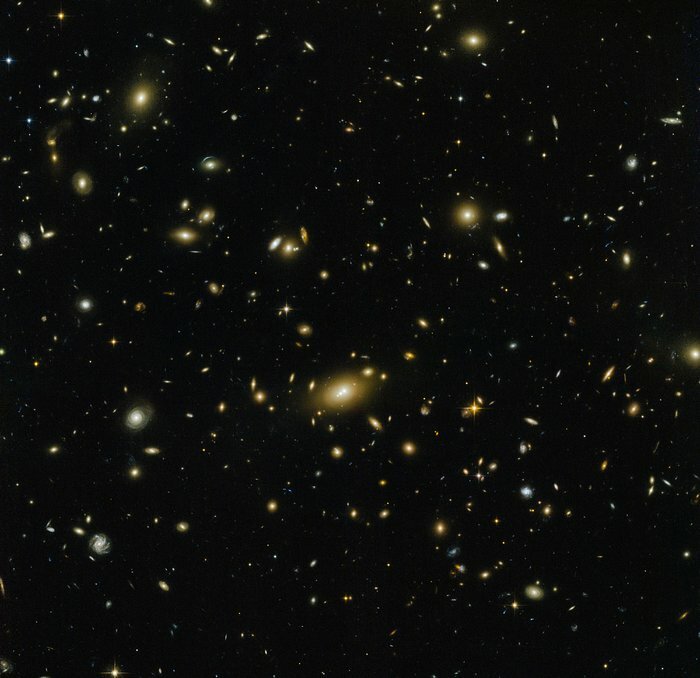 This bizarre kind of time travel is possible due to a phenomenon called gravitational lensing, whereby the gravitational influence of a massive object such as Abell 1300 acts like a lens, bending the very fabric of space around it and thus causing more distant light to move in a curved path. To the observer, the source of the light — a background object such as a primordial galaxy, for example — appears both distorted and magnified. The lensing power of massive clusters has helped us to discover some of the most distant known galaxies in the Universe. Hubble has observed this phenomenon many times; see a selection of images here. 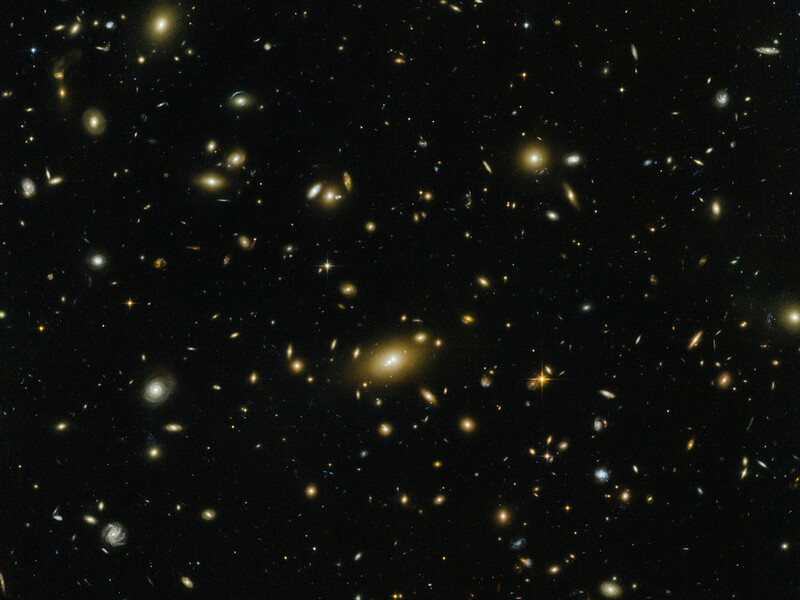 This image was taken by Hubble’s Advanced Camera for Surveys and Wide-Field Camera 3 as part of an observing program called RELICS. The program imaged 41 massive galaxy clusters over the course of 390 Hubble orbits and 100 Spitzer Space Telescope observing hours, aiming to find the brightest distant galaxies. 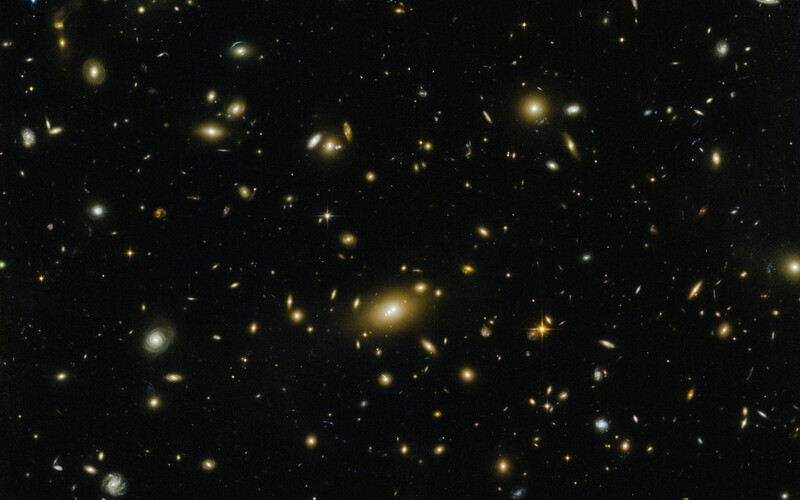 Studying these galaxies in more detail with both current telescopes and the future NASA/ESA/CSA James Webb Space Telescope (JWST) will hopefully tell us more about our cosmic origins. Position (Dec): -19° 55' 24.55"